This is my pleasure to state that Bangladesh Men Chess Olympiad team has drew the very strong Norway team in the 7th round in Dresden, Germany yesterday. 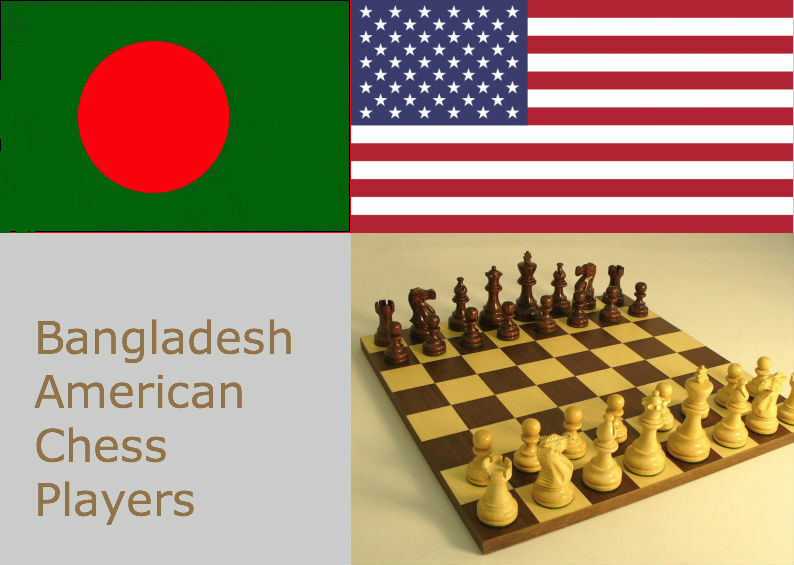 It's an amazing feat for Bangladesh chess team considering the strength of the opposition in the world chess map. I congratulate the team wholeheartedly. 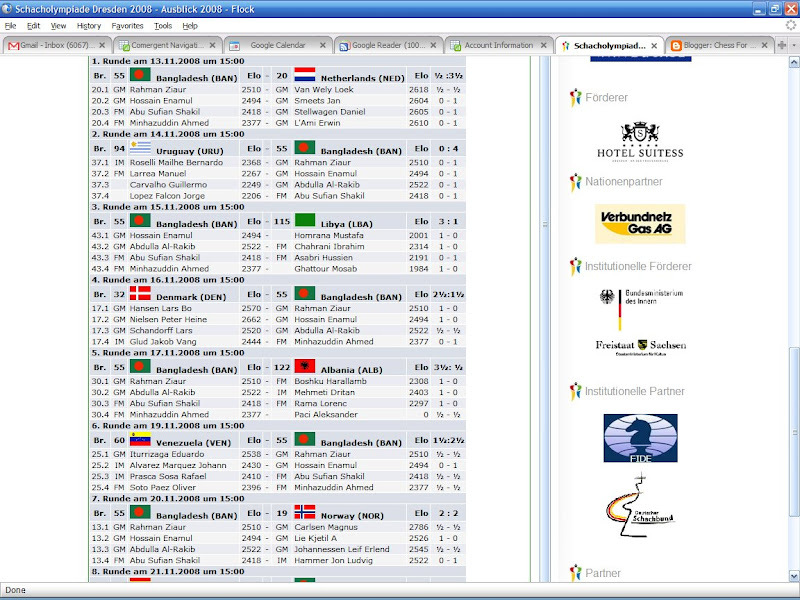 Go to http://www.dresden2008.org/site/de/medien/ausblick08/main.htm and search for Bangladesh to see the results so far for Bangladesh Chess Team. Bangladesh is ranked 55th at the start of the tournament is standing at 37th place after 7 rounds. While the whole team is playing very well, it's worth mentioning separately that today GM Ziaur Rahman at top board drew with White against world's 4th top rated (2786) GM Magnus Carlsen who is widely considered as the future World Chess Champion who is looking forward to break Kasparov's record of being the youngest world chess champion of all time unless Anand can refrain him from being so for next four years. Also GM Rakib's current rating performance is an impressive 2646 (4.0 out of 5 games). I wish Bangladesh can end up within a position within the first 40 teams in this tournaments and each of the players gain a very good rating point out of this. Here is what The Round 7 News by Mark Crowther of ChessCenter mentioned about Zia and his game against Carlsen. Carlsen (with black) against Ziaur Rahman (a man who plays a LOT of chess, believe me, so is extremely experienced) drew after provoking complications not in his favour from the opening but eventually reached a dead level ending after his opponent went wrong. You can follow the full game here in chess.com forum. Chess Olympiad Dresden 2008 has achieved the highest level of registration in history turning it into the biggest Chess Olympiad of all ages. After the final closing of the registration list on September the 19th there were more than 2000 active participants announced. It will be held from November the 12th till November the 25th in Dresden, Germany. A perfect place to play big chess events after a successful world chess championship match in Bonn, Germany last month. With 152 registered nations Dresden surpasses the previous Olympiad 2006 in Turin with 7 more countries. The participants distribute themselves to 275 teams, therefrom 156 in the main tournament including the second team of Germany and the teams of the deaf, correspondence chess players and blind persons. 119 women teams are starting. Susan Polgar's Popular Chess blog provided an entry on the Bangladesh Chess Team that left for Germany to participate this big event. 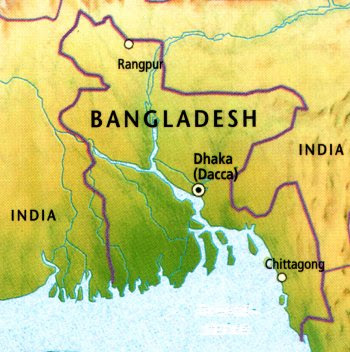 I was proud to see Bangladesh's map in that entry. I know most of the players there personally and I wish success to this team whole heaterdly. To see the complete list of all the chess participating nations and players, click this link http://tournaments.chessdom.com/chess-olympiad-2008-teams . I started a poll in this few years back thinking of which world champion is most favorite to us (look at the right side Poll#1 Greatest Chess Player). Susan is running a post on this in her blog today on this same topic. My own opinion is Kasparov! But he will be closely followed by Capablanca, Morphy and Fischer. After them the other players whom I would rank almost equally would be Karpov, Anand, Botvinnik, Lasker and Alekhine. Why Anand in this rank? Because of his versatile style of chess. He is one of the most naturally talented chess player (along with Capablanca) who didn't get big chess mentors (like Kasparov got Botvinnik and it's true for other Russian champions as well). Anand is a very sharp player and his raw speed of chess is simply unmatchable by anyone else, not even Kasparov! Also he plays quite well against top Computers although his blindfold may not be the best in the market. Kramnik was a great rival of Anand if we study both of their careers and Anand has repeatedly triumphed over him last few years showing his spirit even better than what Kasparov did against his great rival Karpov. Anand is playing in a time when the gap between top chess players are marginal which I believe only Kasparov had to face amongst the earlier champions. Anand's career is not over and he is already in top best chess players ever to many chess players / fans like me. The World Chess Championship started this October 14th in the Art and Exhibition Hall of the Federal Republic of Germany in Bonn. The match consisted of twelve games between the defending Champion Anand (FIDE Rating 2783) of India vs the Challenger Kramnik (FIDE Rating 2772) of Russia. Anand and Kramnik started out peacefully with two interesting draws, after which the Indian player exploded to score three wins - in game 3, game 5, and game 6. Especially difficult for Kramnik were the two loses with black in the same line which basically have decided the outcome of the match in early stage. Although Kramnik managed to pull a win in 10th game and Anand drew 11th game today with white pieces to win the match at a 6.5 - 4.5 margin. I have been following the games everyday in BART from my home to San Francisco or early morning at Chessbase, Susan Polgar's Blog, Chessdom, ChessMind and Official WCC Site, Chess Ninja Blog. Except for today's drawn game the live rating at http://chess.liverating.org shows Anand's current live rating is 2791 (jointly topping the list with Topalov) and Kramnik's 2764. So for this draw I believe Anand may settle down 1 point lower than Topalov in the second position of the list. Here are few news on Anand's victory. So he now needs to prepare for another challenger next year - the winner of Topalov vs Kamsky match. Anand had a brilliant tactical game with black pieces to unsettle Kramnik in their 3rd game of World Chess Championship match 2008 in Germany. I wishAnand defend his title in this match successfully. Anand had a brilliant tractical game to unsettle Kramnik their 3rd gmae of World Chess Championship match 2008 in Germany. Anand held Kramnik to an easy draw with black at the first game of World Chess Championship match 2008 today. This 12 game match between these 2 great chess players is going on in Bonn, Germany and I heartfully expect Anand to beat Kramnik in this match. Tomorrow Anand will have White pieces and hence I am expecting a good chance for him to take lead in the match. Interestingly, I came out to this new of child chess player in my city (Fremont) a little earlier. Zia became 3rd among the five 9 point earners in tie breaking score in Kolkata Mayors Cup 1st International Chess. Krasenkow was 1st and Koneru Humpy 2nd in the tournament. Another great result from Zia. And by the way, Anand won the Chess Oscar 2007, this is his 5th time! Congrats to both Zia and Anand!! I knew it was only a matter of time for Rajib to be Grand Master. And he did it in the 2008 Bangladesh National Championshiop securing 10 points out of 12 gaining the 3rd GM norm required and being runner up of the event behind GM Ziaur Rahman who secured 11 points. Razib's excellent performance of beating Pavel Eljanov last November in World Chess Cup 2007 (Russia) convinved me that the third GM norm for him is no far. It's also good to know that Shakil and Sagor got their 1st IM norm from this national championship with 9 points. So now Bangladesh has 5 GMs, 1 IWM and several FMs in Chess which is a good achievement considering the overall sports performance in other sectors. Bangladeshi GM Ziaur Rahman emerged 3rd in 6th Parsvnath International Open Chess Tournament 2008 held in New Delhi. It was a 10 round swiss leage where Zia scored 8 with a rating performance of 2545 to gain 11 rating points out of it. GM (in-waiting) Abhijeet Gupta won the title and 2.24 lakh rupees scoring 9 while GM Surya Shekhar Ganguly scored 8.5 to be runner up. The other Bangladeshis FM Taibur Rahman scored 7 and IM Enamual Hossain scored 6.5. Hats off to Zia for his good show. Here are the top scorers list. Here are the full final standings result. Anand is half a point behind the winners Carslen(8.0) and Aronian(8.0) to secure the 3rd place along with Radjabov in Wijk Aan Zee 2008. The good news is that Anand(7.5) is 1 point ahead of Kramnik(6.5) and 1.5 ahead of Topalov(6.0) who I count as more dangerous opponents for him. Legendary Chess Champion R J Fischer aka Bobby Fischer has passed aways 18th Jan 2008 in Iceland due to kidney failure. This on-the-board great player is regarded by many as one the greatest chess players of all time. As of my poll in this site in the right navigation panel, he got 30% vote out of 115 to date being closely followed by Kasparov(28%) while Capablanca and Paul Morphy are at distant third with 9% each. Here is the news of his death.